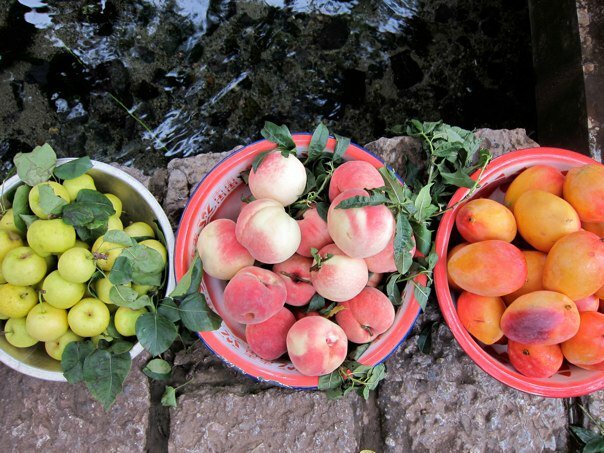 Explore the alleys and waterways of the charming old town district in Lijiang and you will encounter delicious local fare that’s hard to find outside of Yunnan, including plenty of fruits and vegetables. Ask a local about the town’s brilliant multipurpose system for its many freshwater streams. This entry was tagged asia, China, Lijiang, old town, see, Yunnan. Bookmark the permalink.